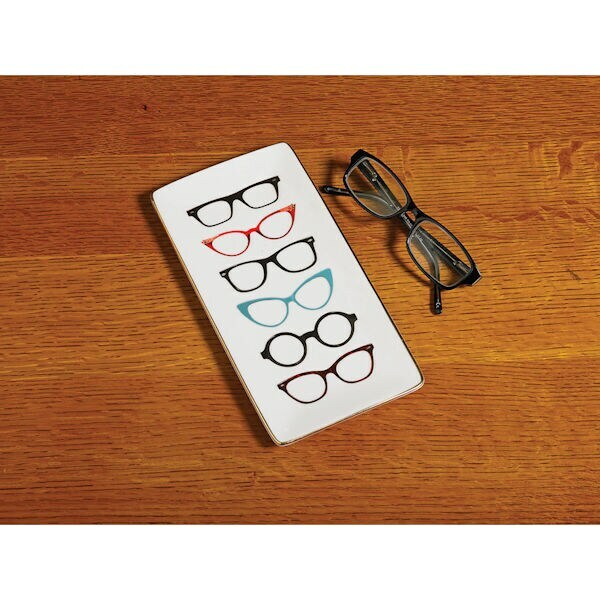 The perfect spot to keep those elusive pairs of reading glasses (or sunglasses or spectacles), our porcelain Eyeglasses Tray is fetchingly decorated with funky vintage frames. Of course the handsome 9"x4½" tray with a pretty gold rim also works to hold keys, jewelry, or any sort of trinket - and it's a great decorative piece left empty on display! We think it's a particularly apropos present for that person you know who's constantly asking, "Now, where did I put my glasses?"